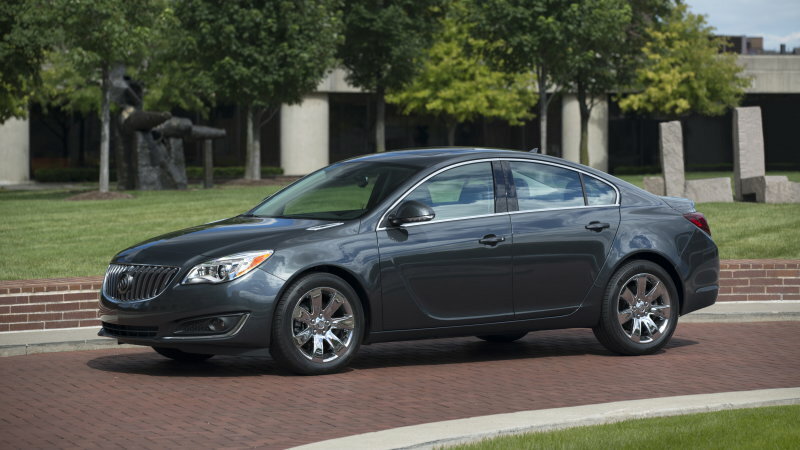 Buick might have two new options for buyers in the market for an inexpensive luxury sedan. In a move similar to the introduction of the LaCrosse 1SV base trim a few months ago, the brand is ready to offer cheaper, entry-level versions of the Regal and Verano. Like the LaCrosse 1SV, the Verano 1SV mostly cuts dealer margins to reduce the cost for customers. The small sedan is priced at $21,065, plus $925 destination, which is a significant $2,315 drop compared to the next higher trim. The powertrain is still a 2.4-liter four-cylinder making 180 horsepower and 171 pound-feet of torque and a six-speed automatic, but buyers lose out on satellite radio. According to CarsDirect, dealers are making just $106 on this model, versus $935 on the higher grade. Meanwhile, the Regal 1SV charts a slightly different path to a lower price. The trim starts at $27,065, which is a $2,925 savings over the next trim. Buyers still get leather seats too, but the powertrain here is a 2.4-liter four-cylinder without eAssist that makes 182 hp and 172 lb-ft of torque and a six-speed automatic. That’s a 77 hp deficit compared to the turbocharged Regal, and combined city/highway fuel economy dips to 23 miles per gallon combined, compared to 24 mpg with forced induction. Buick is introducing the 1SV models in hopes of grabbing more attention for the brand. “We added this new base level to some models as a means of expanding the opportunity for more customers to experience Buick vehicles. The addition of these trims will create an increased awareness and consideration of these vehicles when being compared to the competition,” said company spokesperson Nick Richards to Autoblog. However, you might not see many of these inexpensive Buicks on the road. “On the Verano, we suspect dealers will opt to stay away from a car with around $100 between invoice and MSRP – that’s the pattern we’ve been seeing on the LaCrosse 1SV, which is practically impossible to find,” said CarsDirect Senior Pricing Analyst Alex Bernstein to Autoblog. Also, the Regal 1SV’s switch to a less powerful, naturally aspirated engine “could be a turn-off for some shoppers,” he said.